Oh Yes, we’re here. It’s here. Hello 2017. Whether you’ve jetted off on a tres chic, snow-white European vacation or enjoyed a low-key staycation (fighting for towel space along with the rest of Gauteng) – you now, pretty much, find yourself in the same place: back at work. Cue HUGE sigh. Worst of all, all the festivities, food, hangouts and hangovers have taken their toll on your mind, your waistline and your skin, and you find yourself needing another holiday. The choice to bemoan getting back to the grind or to take January by storm is upon you. Sorbet votes the latter of course – for a better, more focused, happier, healthier, glow-ier (we’ll take it!) fulfilled You! Time to ship and shape your lazy bones back to business. And by this, we mean, skin business. To help you get over your post-holiday blues, detox from all the indulgence and recharge your beauty routine for 2017, Sorbet has put together a sweet ‘17 list of #SkinReady goals to shift you on your way to a supersized year. Number One: Drink more water, honey! There’s one thing your skin can never tire of: Hydration! Keep it nicely hydrated, especially in peak summer months, by drinking at least 2L of H2O a day. Keep a water bottle or jug on your desk, and add fresh fruit or herbs to mix it up and make it more interesting. Great skin starts from the inside out. Ensure you’re eating a healthy diet, including foods that are rich in Vitamin A (helps even out skin tone and rejuvenates your skin), Vitamin B (helps boost blood circulation and makes skin glow), Vitamin C (helps prevent sagging and wrinkles), Vitamin E (a powerful antioxidant that wards off free radicals and balances your skin’s moisture), and Omega-3 fats (which help prevent sun damage and inflammation). Number Three: Get your ZZeees. Try get to sleep at the same time every night and get in a full 8 hours if you can. Sleep helps with skin hydration and deep sleep produces the growth hormones, which helps with skin repair. Off to bed, sugar! Exercise promotes blood circulation – yes you knew that – which creates more oxygen that delivers nutrients to your skin – you knew that too – and helps it repair itself. So what are you waiting for? Pick up a pair of boxing gloves, dust off the yoga mat or just take a jog to the gym for some well deserved eye-candy! Bring out the selfie stick! Smiling actually helps release the tension in your cheeks, underneath your eyes and around your lips. Keep it wide, keep it real (or cheesy). And, post. Yes. No matter how tired or wired you are, never ever (ever ever!!) forget to remove your make up before hitting club duvet. There are few things worse for your skin than hopping into bed without removing makeup and washing away the day’s impurities. If you don’t, this will lead to clogged pores and a few-morning after horror stories. At the very least, use your Sorbet makeup removing wipes! Number Seven: Ex it up! If there’s one thing you can start doing to really improve your skin, it’s exfoliating – gently and regularly. Sorbet has a range of exfoliating masques and treatments that are suited for every skin type and need. Better yet, make booking a facial part of your monthly routine. See Sorbet’s Supersize January special for a real skin upgrade. Not only do your fingers contain a natural oil that can clog pores and create breakouts, but they also constantly come into contact with lots of dirt and bacteria. Don’t touch your face too much. Keep your hands where you can see them often – and no one gets hurt. Pillow fights? If he’s chizzled like Gosling or handy like Dr (cough) Jackson (Jesse Williams) then we’re inclined to let it slide but, generally, if your pillows and sheets are sprawled with muggy bacteria, hair grease, and face oil – this is not good news for your beauty sleep! Keep your bed linen clean for a better wake-up face. Sunscreen is not just for the beach. Your skin is subject to sun damage when it’s cloudy and even if you’re indoors, near the windows. Make SPF your NBF! Shut the bathroom door. Spread it on nice and thick. Marvel at how awful you look. Smile because you know that you’re 10 minutes away from fresh, fabulous take-me-out-tonight skin. Once a week will do. See Sorbet’s awesome range of feel good face masques – for all kinds of skin, and moods. Number Twelve: Are you Nuts? Throw a pack of them Brazilians in your snack pack – rich in selenium, these crunchy power snacks increase skin elasticity and have proven a decrease in skin cancer. Why stop there – add some walnuts for extra omega-3 fatty acid to help with freak out breakouts. Next time you’re hanging out with your bestie on the phone (for a catch up on the last three weeks) think again. All those cellphone germs from last night’s movie house, and last week’s pub crawl, are still lurking about and will land right on your cheek and jawline every time you chat away. Enter nasty face spots and random skin irritation. Make sure you wipe down your phone every day with an antibacterial wipe, keeping it bacteria-free. Or better yet, just switch to speaker or headset. Sorbet recommends a routine facial at your salon at least once a month – with professional products and cleansing that suits your skin type. Regular facials not only do wonders for your mood but it improves skin appearance and slows down the aging process. Sorbet offers deliciously relaxing Lite and Grande Facial options, for all skin types. Turn that hot water down! Not only does too much heat on the skin strip your essential oils, but it results in a mild surface burn too. Your blood vessels will respond by dilating; working really hard to cool the skin, which causes flushing and inflammation. Not cool. Number Sixteen: Eat that Broc! Did you know that half a cup of raw broccoli is packed with 65 percent of your daily recommended allowance of vitamin C? Vitamin C-rich foods are your go-to free radical indomitables that help reduce wrinkles and sagging skin. True story. When the glowing gets tough, turn on the comedy. Research shows us that laughter is a natural immune system booster –which has a direct impact on our face. When we laugh often we produce neurological messages to the nerve endings that are connected to our skin. This then resolves over time as clearer eyes, brighter skin and healthier hair – and most importantly, a more vivacious, attractive, beautiful and inspiring you. 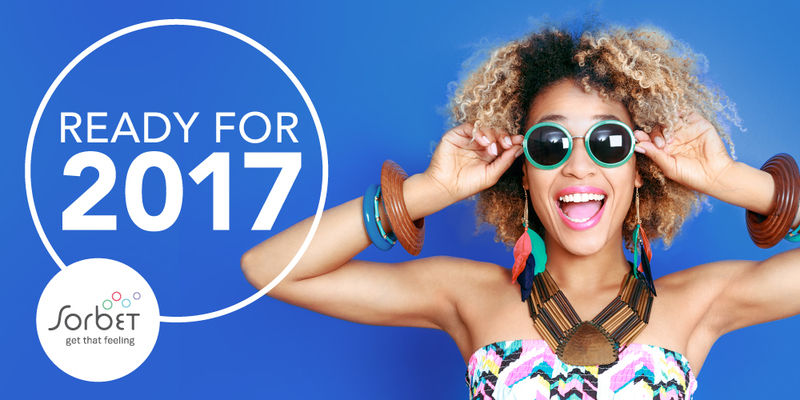 There you have it, a JANpacked 2017 – overflowing with bumper tips and tricks to keep your skin happy and healthy. Are you #Ready?